(Reuters) - Amazon.com Inc (AMZN.O) Chief Executive Jeff Bezos has unseated fellow tech billionaire Bill Gates as the richest person in the world, profiting from the e-commerce company's meteoric stock rise to reach a fortune of $90.6 billion, Forbes reported. Amazon shares jumped 1.6 percent at the start of trading on Thursday, boosting the net worth of Bezos - the company's founder and largest shareholder - by $1.4 billion, according to Forbes, which tracks the world's wealthiest. The stock was up ahead of Amazon's second-quarter earnings report after Thursday's market close. Analysts expect the world's largest online retailer will report that its sales jumped 22 percent to $37.2 billion, according to Thomson Reuters I/B/E/S. 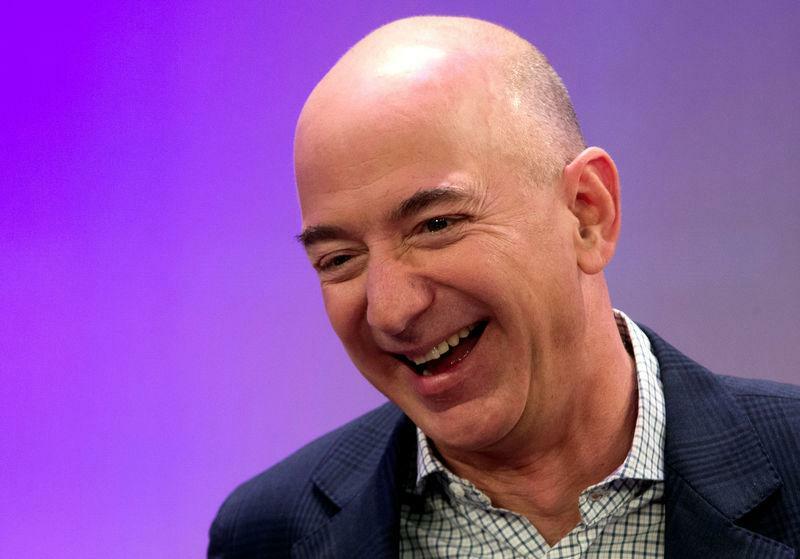 Bezos, a relative newcomer to the top of Forbes' list, has benefited from the seemingly boundless expansion of Amazon into new markets. The once-bookseller plans to acquire Whole Foods Market Inc (WFM.O), at the same time it is making strides in the fashion business, Hollywood, enterprise computing and general retail from India to Mexico. Reuters could not independently verify the wealth of Bezos or Microsoft Corp's (MSFT.O) co-founder Gates. A philanthropist, Gates has given $31.1 billion to charitable causes through 2016 and has a net worth of $90.1 billion, Forbes said.